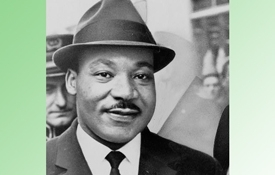 In our app Black History Quotes Express, Martin Luther King Jr. has a large number of messages to contribute. These are powerful words indeed. For MLK Day 2019, here's a 60 second video featuring many of his memorable thoughts. We are finishing up Black History Quotes Express for iPhone and iPad which should be released in February. The iOS versions will join our Android version (in Google Play since mid-2018). Quizzes, quotes, games, emojis, and honest history that is not marginalized. These are your favorite choices in order rounding out the top 16 apps of 2018 from Quikthinking Software. Each title is identified in full below the collage of app images... Touch each title below for more: Black History Inventors Black History Quiz Black History People Black History Audio Book I Black History Inventors Quiz Black History Audio Book II Black History Quotes Express Black History Museums Thanksgiving Match 3 Game Pizza Burger Crush Game R&B Music Quiz Soul Black History Express Hip Hop Fingers Game AAeMojis Black History Audio Book III Banana Bear Shuffle Game Thank you for your support and all the best in 2019! What happens when you split one memorable black history picture into either 20 or 80 separate segments? Follow along for the answer. If you randomly rotate each segment, you end up with a brainteaser inside of a checkerboard. If we show you the original image, can you quickly put it back together once it is scrambled? Unlike digital puzzles where you must drag the pieces around a game board, the segments in our puzzles rotate 360 degrees so you don't have to move them out of place. Just touch the segments to rotate. It's that easy. Our concept is now a new game. 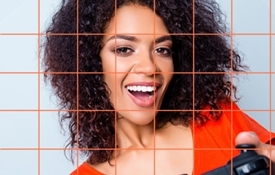 Black History Picture Puzzle features 40 famous folks you will most likely recognize who have taken their place along a talented historic timeline. Once you have solved the picture puzzle, you can try to solve it again, only faster, or move on to the next one. The game keeps track of how long it takes to solve each photo challenge. There is no time limit. Black History People Name Game let's you match groups of related words with specific people. Take a look at the names in the picture below. Here's a fun way to reinforce what you may or may not know about these historical figures. Black History People Name Game includes an optional leaderboard. Are you at the top? Take the challenge! So get going with both of these games, Black History Picture Puzzle and Black History People Name Game. To master the Black History People Name Game take a look at some of our other black history apps too. They are all loaded with the information you may not have been told about in school! 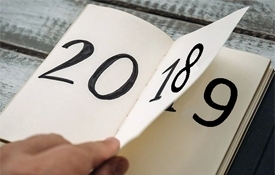 As 2018 draws to a close, we take a quick look back at several of the memorable events we shared with you throughout the year. Follow these pages... Game Masters, Garden State Comic Fest NJ, Alien Con Baltimore, and Keystone Comic Con in Philadelphia were loads of fun. We love meeting you at these entertaining experiences. One August event that really stands out is The Big Give Back in Fort Lauderdale, Florida. We partnered with team @shegotgamemedia to have a good time plus raise community awareness about: 1. Bicycle/Pedestrian Safety 2. Child Abduction 3. Music, Arts and Education Other organizations involved included The African American Research Library and Cultural Center, Broward Parks and Recreation, MVP Management, and The Urban League of Broward County, Florida. 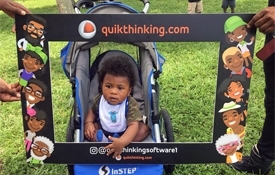 Here are just a few of the selfies taken at the event and shared on QuikthinkingSoftware1 Instagram. Please follow us on Instagram. Thanks! QuikthinkingSoftware1 Instagram delivers more interesting updates so follow us there too. What would you do if you were handed an amazing collection of African American Apps that you could pop into your phone right now? Would you tell your family about it? Would you share the wealth with your friends? Would you take advantage of the opportunity? Back in 2008, it was slim pickings in the world of black software (apps targeted at people of color). We have been creating and adding these focused mobile app titles one by one since 2008 along with our other universal fan favorites. For you, what was missing 10 years ago is now just a click or a touch away, today! Our portfolio is growing so it's the right time to spotlight "The Delightful Dozen." 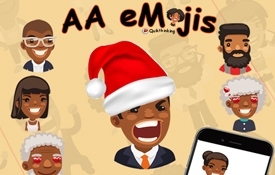 Find these twelve tasty titles appearing in our African American Apps Holiday Gift Guide. There are 17 apps in the guide. Five are bonuses. You'll want to spread the word about this collection during the fall - winter 2018 holiday season. 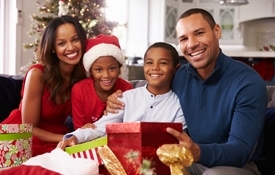 If you are getting a new mobile phone for the holidays, or giving one as a gift, keep the African American Apps Holiday Gift Guide on your radar screen. There are stocking stuffers galore to download and love in this digital catalog: African American Apps Holiday Gift Guide The guide is a quick online browse so you don't have to download it. It is easy to share too... https://Quikthinking.com/african-american-app-gift-guide.html Thank you for your support. Thanksgiving. The quintessential American holiday. 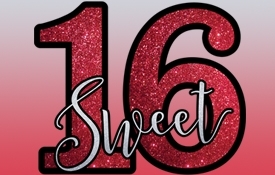 What's a good celebration theme appropriate for an annual tradition? How about a great story! 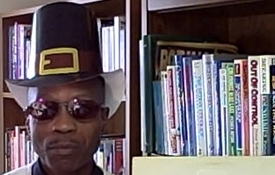 Here is an entertaining version of the Thanksgiving story full of satire spelling out the historical truth according to our informed storyteller. Originally recorded in 1974, the sometimes tongue and cheek prose was written and voiced by Bama, The Village Poet. Watch the 3 minute 41 second Thanksgiving Story video. We produced it in 2007 and updated it again in 2018. Hear Bama's take on the holiday in his own words. His opinions are his own and do not necessarily reflect our own beliefs. While you are in the holiday mood, grab our Thanksgiving Match 3 Game and crush it! When several thousand fans of History Channel's ten year plus episodic TV program Ancient Aliens get together, you are plunged into Alien Con, a huge event that rivals other big global comic cons. With two of our space themed mobile games in the marketplace, Alien vs Astronaut, and Alien UFO Match 3, the Journey to the Baltimore, Maryland Convention Center for this three day extraterrestrial festival was a great match for an exciting weekend getaway November 9 - 11. Ancient Alien theory offered in the TV series presents experts, researchers, and authors who believe we have been visited in the past by extraterrestrials. With Baltimore's Inner Harbor close by, science fiction and science fact was explained, explored, and debated during the three day happening. Alien Con gives fans of the TV program a chance to listen to the experts who present their research to board room gatherings and large hall panel presentations. Along with serious activities, attendees mingle, network, party, and scoop up convention merch. 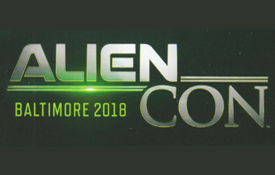 Watch our 1 minute 35 second video giving you a time capsule glimpse into Alien Con Baltimore 2018. The Quit Smoking Audio Book app for iPhone finally joins its Android sibling to offer you a conversational story about easy ways to approach cigarette withdrawal. Watch the video to see both the iPhone and Android versions at work. Visit the highlighted link above (on our website) to read more about the apps or to grab them from the App Store, Google Play, and Amazon.